Soaring vocals, simple melodies and killer bass lines highlight the music of musicians Lasana Kenneh and Jeremy Sauer. IJenNeh is a tasty mix of African, reggae, pop, and gospel music with roots in Liberia. This is music that is good for your soul. Kids through adults are welcome to attend this concert in the Burgess Community Room on Saturday August 2nd at 2 p.m. The concert will conclude at 3:30 p.m. this program is generously sponsored by the Friends of the Tigard Library. Last Day for Summer Reading Sign-ups! Wednesday July 30th is the LAST DAY to sign up for summer reading! Kids who sign up now can still count the books and time read since June 1st on their reading record, so it's not to late to stop by the children's room at the library to sign your kiddo up. Children who are not reading on their own can sign up for the "Read to Me" component of the program. Children reading on their own (Up through 5th grades) can sign up for the "Independent Reader" component. Children going into 6th through 12th grade can sign up for the teen summer reading program. Children and teens who sign up for either program will get a pencil and a bookmark. Plus they can send away for free tickets to a Portland Thorns game for August 3rd (subject to availability). This Monday we'll be learning about clouds. What is the language of clouds? How does a cloud work? Make a cloud craft and more. The How Long Jug Band is a group of musicians who plays vintage blues, jazz, and ragtime music on standard and homemade instruments. In addition to the jug, the band plays harmonica, banjitar, washboard, washtub bass, mandolin, guitar, and kazoo. Sound like an interesting blend of instruments doesn't it? The concert is open to all ages and will be held in the Burgess Community Room on Saturday July 26th at 2 p.m. The concert is expected to conclude at 3:30 p.m. This event is generously sponsored by the Friends of the Tigard Library. 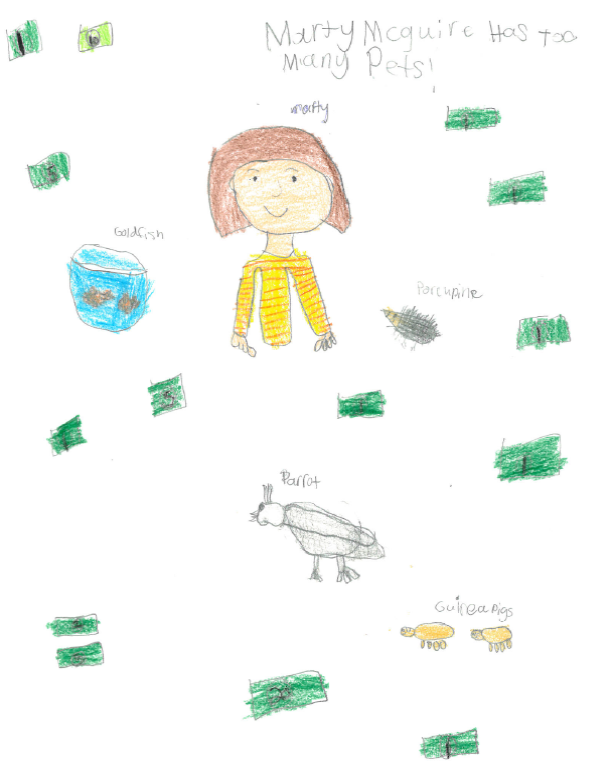 Calling all naturalists! 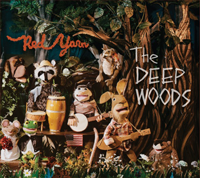 Come sing, dance, and laugh along with Red Yarn and his lovable puppet critters as they take you on a scientific journey into the deep woods! This will be one delightful music concert and puppet show all rolled into one! Join us on Tuesday July 22 at 4 p.m. in the Burgess Community Room. All ages are welcome to attend. This Monday, July 14, drop in and learn about volcanoes. Did you know there are 19 volcanoes in Oregon! 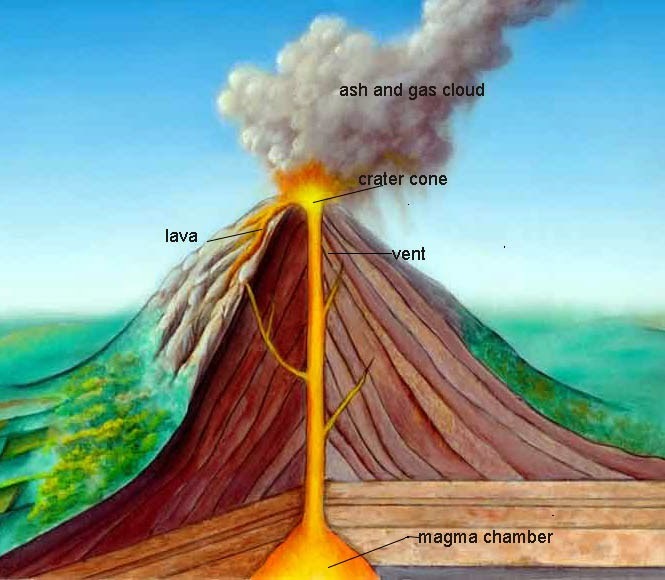 Let's explore why volcanoes are important and make your very own volcano to take home. The fun begins at 2pm and lasts until 4pm in the Puett Room. This is an all ages event. The sun has power! Join us for this hands-on program to make works of art from sun-reactive paper, a simple sundial, and a miniature solar oven. Other activities include shadow play and a simple puppet that illustrates the Aesop fable, The North Wind and the Sun. This program is for ages 5 and up. It's held in the Puett Room and runs from 1:30-2:30 p.m..
Are you working on your summer reading? Do you know about our new Bonus Ticket feature this year? If you would like to share with us what you are reading, you can enter to win a big prize bag. There will be a drawing every Saturday from now until the end of August, and all you have to do to enter is to let us know what you are reading, what it's about, and what you enjoyed about it. The best part? You can enter every single week! Here are a few examples of what readers are sharing this week. If you want to see more writing and artwork, stop by the Puett Room and check out the display. It is mainly about an owl named Soren and how he gets captured by an owl named Grimble and meets an owl named Gylfie. They escape by flying and meet Twilight and meet Digger. I enjoyed it because it was full of adventure, it was very descriptive and it put pictures in my mind. 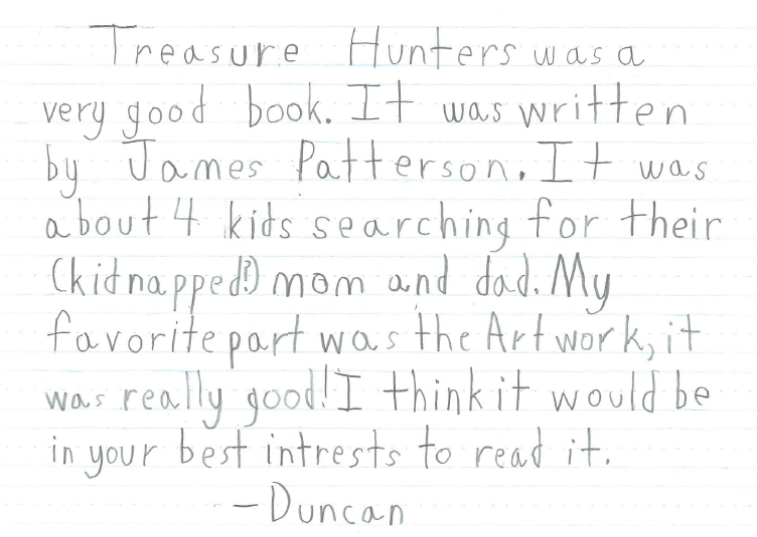 Thanks to Duncan (Treasure Hunters), Iliana (Marty McGuire Has Too Many Pets), and Finley (Guardians of GaHoole: The Capture) for participating! Start Claiming Your Summer Reading Prizes TODAY! Today, July 15th is the first day that kids and teens can start turning in their summer reading records to claim their prizes. Kids and teens who complete their reading goal can turn in their reading records a the children's reference desk. They will get their prize back which includes a discount coupon to Oaks Park, a voucher to redeem Blazer tickets, and other goodies. They also get to pick out a book of their choice to keep. The last day to claim prizes is August 31st. Zephyr Brown from Amazama will be here to teach you everything you need to know about being a juggling performer in a circus. Learn the art of hands-on juggling in this interactive class using balls, ribbons, Chinese yo-yos, sticks, hula hoops and much, much more. First there will be the instructional component of the workshop at 4 p.m., which you won't want to miss! Then everyone will be free to give everything a try. It's all happening in the Burgess Community Room from 4 to 5 p.m. on Tuesday July 15th. All ages are welcome to attend. Here at STEAM Saturday, our wish is to make science fun. 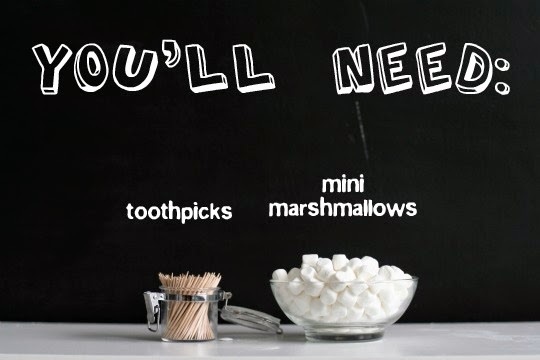 What could be more fun than mini-marshmallows and toothpicks? Making stuff out of mini-marshmallows and toothpicks! The directions can be found here. While the directions call for teams, this project can be done individually. There is no end to the creative structures your child can make. If you are concerned about the safety issues that go with toothpicks, simply use uncooked spaghetti noodles broken down to the length of a toothpick. 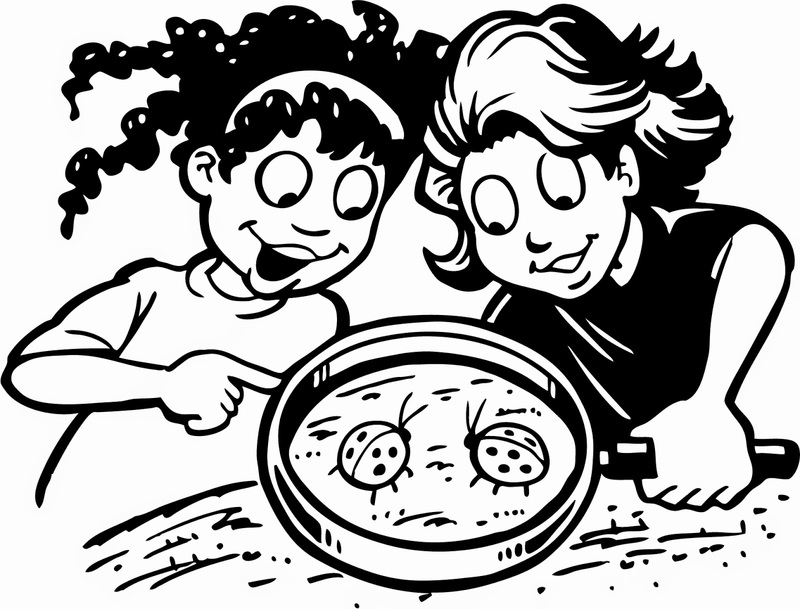 Have fun with this full-STEAM ahead activity. The theme this Monday, July 14, is oceans. 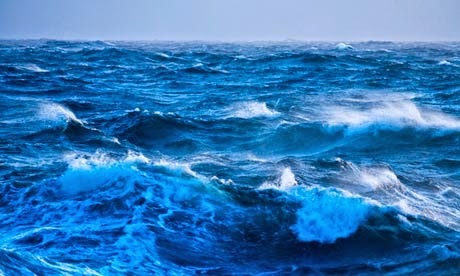 Commotion in the Ocean! Let's dive into our watery world and learn about its fascinating inhabitants, play some soggy games and create some ocean creatures of your very own. The fun starts at 2pm and lasts until 4pm in the Puett Room. 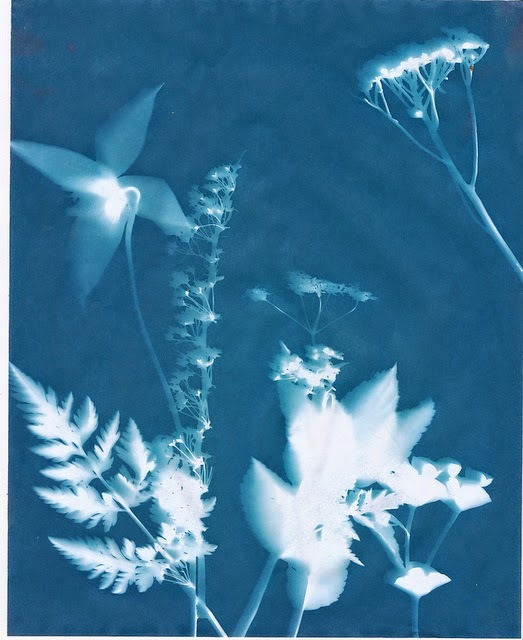 Looking for some scientific, artistic fun this weekend? Stop by the Puett Room on Saturday afternoon at 1:30, and play with simple machines. Make a pinwheel, slide your own skier down a ramp, construct a pulley, and more. Interested in the process more than the product? Spend a while pounding golf tees into styrofoam, and call yourself an expert on wedges. See you there! 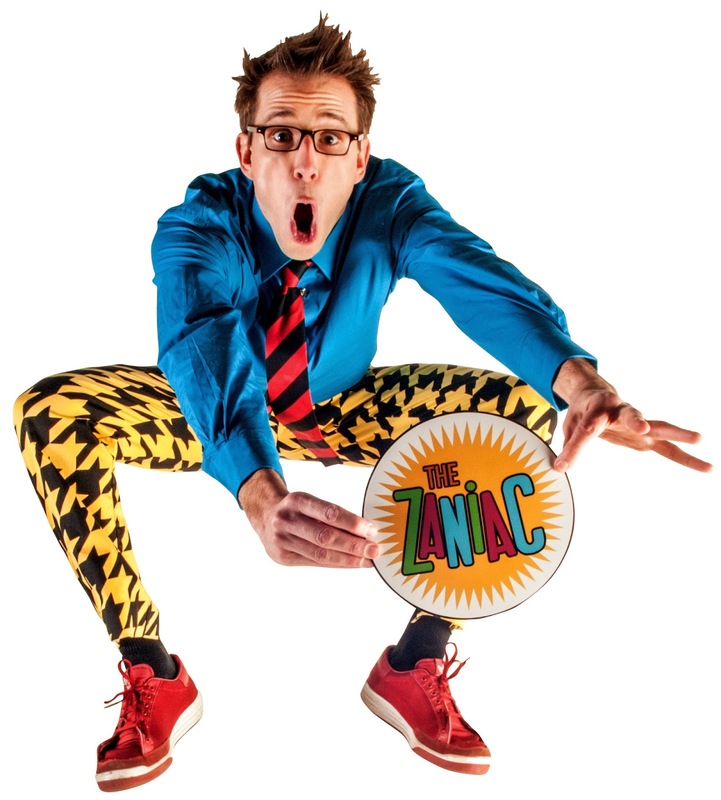 Professional Zaniac, Alex Zerbe will be in the house Tuesday July 8th at 6:30 p.m. His comedy show features crazy tricks, beat-boxing, dancing, live music looping, audience participation, and the list goes on and on. This guy's antics are off the charts and he will literally turn your world upside down! 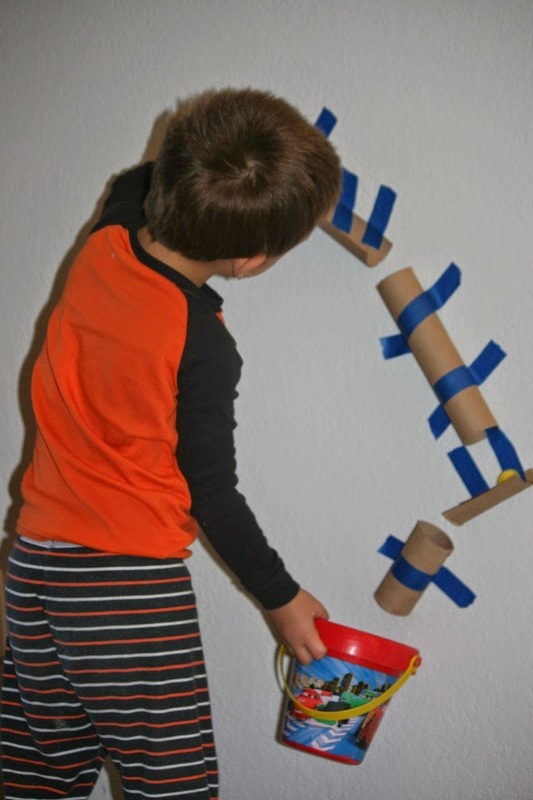 This Monday, July 7, we will be experimenting with tunnels. Play follow the leader, go forward in a tunnel, go backward. How fast can you move through a tunnel? 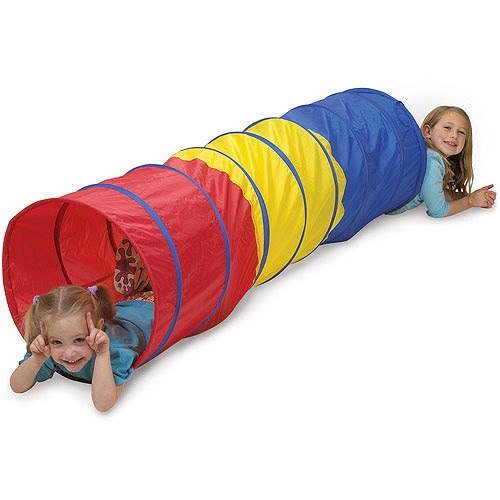 Can you build a tunnel? All these exciting interactions and more at this program. This year's Summer Reading theme is Fizz, Boom, Read. Science is cool! As always, our first goal is to help keep kids reading during the summer months. The second goal is to inspire kids by offering interesting programs. Our Drop-In Science Playtime is a series of programs featuring an aspect of science. Join us we play with tunnels; discover things about oceans, volcanoes, clouds, and wind; and wrap of the series with a tactile kitchen science program. The programs series begins Monday, July 7 and will continue on Mondays until August 11. The series will be held in the Puett Room from 2-4 p.m. and is for all ages.